Today, India is the world’s second most populated country, second only to China by a gap that is shrinking each year. Looking back a century to the early 1900’s, India was a very different place. The population was unstable due to intense famine, influenza outbreaks, plague, and malaria. Individually, these outbreaks took major tolls on the country, but the combination of all of them left a country desperate to repopulate. The year 1921 brought the beginning of an era that has yet to end, one that has created this country of 1.32 billion people. Known as “The Year of Great Divide,” 1921 drastically altered the demographics and landscape of India shaping it into the country we know it to be today. That year saw a dramatic increase in population growth rate; it started an upward trend in population that has held true every year since. Other factors such as child marriage, young mothers, and short gaps between births contributed then and still contribute today to population growth. This dramatic shift, combined with cultural norms, were met with the need for family planning. If not implemented, continual population growth would quickly become detrimental to the country. In 1952, India became the first country in the world to have a National Family Planning program. Regulations were first implemented after 1951, a year that became known as the population explosion year. 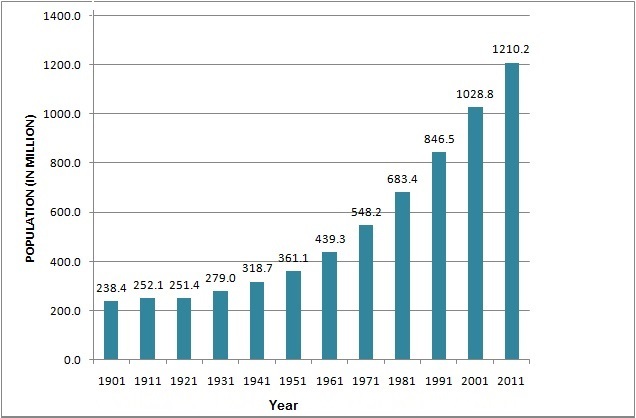 Growth skyrocketed between the decade of 1951 to 1961 when India saw a 21.5% population increase making it clear that previously implemented population control policies were ineffective. After many failed attempts at natural family planning, the Indian government changed course as it became clear that India would never adopt natural methods. With a new perspective on how to handle population growth, India’s government began phase one of their population stabilization plan. Starting in 1952, the Emergency Phase became known for its sterilization practices. For the first nine years, the focus was placed on male sterilization using monetary incentives to attract people to services. This quickly became the focus of the program and is still used today, although in a more ethical way. The early seventies brought new ideas and programs with the implementation of postpartum programs. These programs were held in hospitals and focused on women who were recovering from child birth. Information on birth control was given to these women and was widely accepted, but had limited reach as most women gave birth at home. Although ineffective on the larger scale, educational programs were one of the few ethical programs implemented during this first phase. The 1970’s was also a time of mass sterilization. Vasectomy camps were introduced in which monetary and in-kind incentives drew in the masses, although participants did not always come by choice. In only three years, India’s vasectomy camps completed over 4.5 million sterilizations equalling more than half the global total done that year. 1975 brought many population crises for India, with crop price doubling much of the country faced food shortage. An intensive population control campaign was started which focused on the sterilization of men and targeted India’s lower castes. Across the country, high intensity camps were set up in hopes that it would lessen the burden of what became known as the ‘1975 Emergency.’ In one year, 6.2 million men were sterilized. To give you a better idea about the seriousness of this number, it is fifteen times the number of people sterilized by the Nazi’s. The state of Kerala had the most intensive programs which reported performing over 60,000 vasectomies a week. Incentives such as cash drew in the masses, but they were not always taken on one’s own volition. During the 1975 Emergency, India’s government took away one of man’s most basic human rights: the right to one’s body. They enforced a two child rule which, when broken, often resulted in forced sterilization of the father. Men who had previously been sterilized, lost the rights to incentives if they already had more than two kids. Food rations and water were often withheld until families or even whole villages agreed to sterilization. Reports were made of villages being roped off by police until every male had been sterilized; those who protested were often drugged into surgery. If not physically forced, people often turned to sterilization as they had no other choice. States across India each had their own style of enforcement, but all felt the pressure of the government to get the job done. If the appointed number of sterilizations were not met, then those who had government jobs were punished. Examples of this can be seen in the state of Rajasthan which required those who worked for the government to be sterilized if they had more than three children. School teachers in Uttar Pradesh were coerced into sterilization, losing a months salary if they forwent the procedure. These laws resulted in the sterilization of over 11 million men and women in just three years. It is unclear how many of these procedures were done against the will of the patient, but accounts of forceful sterilization can be found in every state. The harsh methods implemented during the 1975 Emergency brought the end of phase one, as the country looked for more ethical means to control their growing population. Though sterilization was greatly reduced it was still practiced, but the lens had shifted from male to female sterilization as tubectomies rose in popularity. Unlike phase one, which targeted men, phase two focused on women and family. Education was geared towards women, but this was not enough as population was still on a steady increase. 1994 saw the beginning of the third phase in which women’s groups dominated. New policies prioritized women’s health and poverty alleviation. These values were adopted by the Indian government and became the core of their population control methods which focused on reproductive health, maternal and child health, and immunization services. By looking to the future through preventative methods, India was able to implement policies that were more than just a quick fix. New methods helped to alleviate the pains of overpopulation by increasing quality of life. Today, many methods of population control are still in play. Even with the shame of its dark past, sterilization still occurs in India. 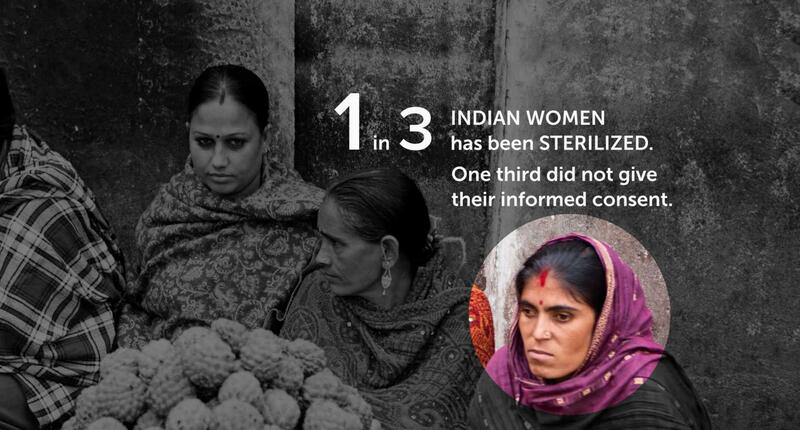 The year 2013 saw over 4 million sterilization procedures performed on women alone. Although family planning has not lead to the stabilization of population growth, many achievements have been made as the result of the implementation of different policies. Specifically, contraceptive use has increased over the years and fertility rates have lowered. These achievements have come only after years of failure and detrimental practices. The road to population stabilization is a long one for India. With a history of mass sterilization and present policies which place the girl child at risk, India has to tread lightly with future population control programs. There is still a great need for stabilization and decrease of the population, but laws implemented must protect the rights of the people they effect. As this country of 1.32 billion people continues to grow, new issues such as food and water shortages will arise. With some of life’s basic necessities being pushed to their limits, one can only hope that India’s government will not look back into their dark past for answers on how to handle their growing population. Biswas, Soutik. “India’s Dark History of Sterilization.” BBC News, BBC, 14 November 2014. “Family Planning.” National Rural Health Mission, Government of India. “Growth of Population in India (Timeline and Statistics).” Economics Discussion, Economics Discussion, 11 Aug. 2015. Jeyaprakash, Shiela (2017) Violence Against Women. Lecture, Women’s Christian College, 5 October 2017. Joy, Sheryl (2017) Demography and Family Planning. Lecture, Women’s Christian College, 12 October 2017. Morse, Anne, and Steven Mosher. 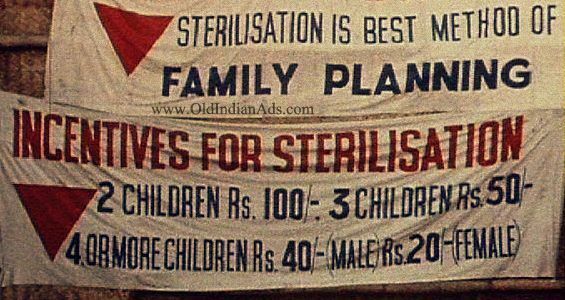 “A Once and Future Tragedy: India’s Sterilization Campaign 39 Years Later.” Population Research Institute , Population Research Institute , 24 June 2014. Phukan, Rumani Saikia. “Family Planning in India- Its History, Programmes, Importance and Impact.” Maps of Inida, 27 July 2014. Robinson, Warren C., and John A. Ross. The Global Family Planning Revolution: Three Decades of Population Policies and Programs. World Bank, 2007. Shalini (2017) Gender Issues and Development in India. Lecture, Bishop Heber College, 27 October 2017.